Ethanol production from lignocellulosic materials has been extensively studied in order to substitute fossil fuels. The aim of the study was to investigate the potential of Pocidonia oceanica residues as a potential source of fermentable sugars for bioethanol production in an integrated process. By consecutive supercritical CO2 and supercritical water (SCW) hydrolysis with a solid:liquid ratio of 0.08 (w/v) at 400 °C, cellulose and lignin were retained in solid phase whereas a reducing sugar value of 14.1 g/L was quantified in the liquid phase. Supercritical CO2 extraction acted as a pretreatment method in order to loosen the lignin structure and SCW hydrolysis was responsible for both releasing some of the hemicellulose in the matrix. The results are very promising in terms of deployment of the utilization processes to industrial scale applications, thereby proposing an alternative solution to the landfill of P. oceanica residues. Novo L.P., Gurgel L.V.A., Marabezi K., Curvelo A.A.S. 2011. Delignification of sugarcane bagasse using glycerol–water mixtures to produce pulps for saccharification. Bioresour. Technol. 102(21): 10040-10046. Boopathy R. 1998. Biological treatment of swine waste using anaerobic baffled reactors. Bioresour. Technol. 64(1): 1-6. Sasaki M., Fang Z., Fukushima Y., Adschiri T., Arai K. 2000. Dissolution and hydrolysis of cellulose in subcritical and supercritical water. Indus.& Engineer. Chem. Research. 39(8): 2883-2890. Von Sivers M., Zacchi G. 1995. A techno-economical comparison of three processes for the production of ethanol from pine, Bioresour. Technol. 51(1): 43-52. Sun Y., Cheng J. 2002. Hydrolysis of lignocellulosic materials for ethanol production: A review. Bioresour. Technol. 83(1): 1-11. Harkin J.M. 1969. Lignin and its uses.US Department of Agriculture, Forest Service, Forest Products Laboratory. Khiari R., Mhenni M., Belgacem M., Mauret E. 2010. Chemical composition and pulping of date palm rachis and Posidonia oceanica–A comparison with other wood and non-wood fibre sources. Bioresour. Technol. 101(2): 775-780. Kumar P., Barrett D.M., Delwiche M.J., Stroeve P. 2009. Methods for pretreatment of lignocellulosic biomass for efficient hydrolysis and biofuel production. Indus. & Engineer. Chem. Research. 48(8): 3713-3729. Fang Z., Sato T., Smith Jr R.L., Inomata, H., Arai K., Kozinski J.A. 2008. Reaction chemistry and phase behavior of lignin in high-temperature and supercritical water. Bioresour. Technol. 99(9): 3424-3430. Pilavtepe M., Yesil-Celiktas O. 2013. Mathematical modeling and mass transfer considerations in supercritical fluid extraction of Posidonia oceanica residue, Journal of Supercritical Fluids. 82: 244-250. Miller G.L. 1959. Use of dinitrosalicylic acid reagent for determination of reducing sugar. Analytic.Chemis. 31(3): 426-428. Kumar S. 2010. Hydrothermal treatment for biofuels: lignocellulosic biomass to bioethanol, biocrude, and biochar. Electronic Thesis and Dissertations, Auburn University. Sasaki M., Adschiri T., Arai K. 2004. Kinetics of cellulose conversion at 25 MPa in sub- and supercritical water. 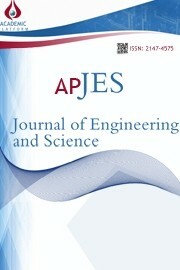 AIChE Journal. 50(1): 192-202. Sasaki M., Iwasaki K., Hamaya T., Adschiri T., Arai K. 2001. Super-rapid enzymatic hydrolysis of cellulose with supercritical water solubilisation pretreatment. Japanese Journal of Polymer Sci. Technol. 58(10): 527-532. Sreenath H.K., Koegel R.G., Moldes A.B., Jeffries T.W., Straub R.J. 1999. Enzymic saccharification of alfalfa fibre after liquid hot water pretreatment. Process Biochemis. 35(1): 33-41. Pasquini D., Pimenta M.T.B., Ferreira L.H., Curvelo A.A.S. 2005. Extraction of lignin from sugar cane bagasse and Pinustaeda wood chips using ethanol–water mixtures and carbon dioxide at high pressures. Journal of Supercritical Fluids. 36(1): 31-39. Pilavtepe M., Sargin S., Celiktas M.S., Yesil-Celiktas O. 2012. An integrated process for conversion of Zostera marina residues to bioethanol. Journal of Supercritical Fluids. 68: 117-122. Kilambi S., Kadam K.L. 2012. Production of fermentable sugars and lignin from biomass using supercritical fluids. WO Patent. 2,011,091,044.